I hadn’t been to Science World in decades, so was unsure as to what to expect. I was so pleasantly surprised with how fascinating it was, and even more so experiencing it all through the eyes of 4 year old Hudson. He hadn’t been yet, and was extatic to finally discover what was inside that giant, sparkling ball in our gorgeous city. If you’re a local Vancouver Area resident, and haven't recently experienced Science World with your family, you NEED to go! It’s amazing how captivated the kids can be while they’re learning. I loved every minute of our experience there, and Hudson especially enjoyed the Eureka Gallery, experimenting with water, light, sound and motion. Because we had such a great time, we want another family to get to enjoy a day there, too. 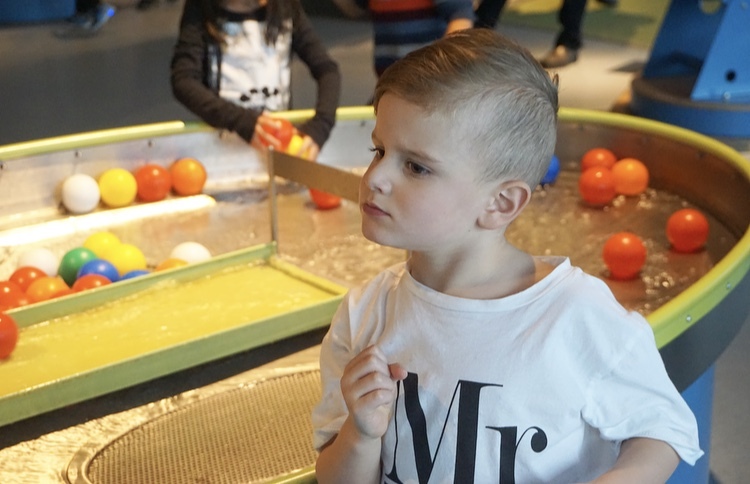 Hudson and I are giving away 4 tickets ($100 value) to Science World to one lucky winner, so keep scrolling to the bottom to see how to enter. A sincere thank you to Science World for hosting us for the day. Hudson keeps asking when we can go back, so I know we’ll be seeing you again soon. Do do you want to WIN a visit for 4? Enter over on my Instagram page, and fill out the form below for extra entries.